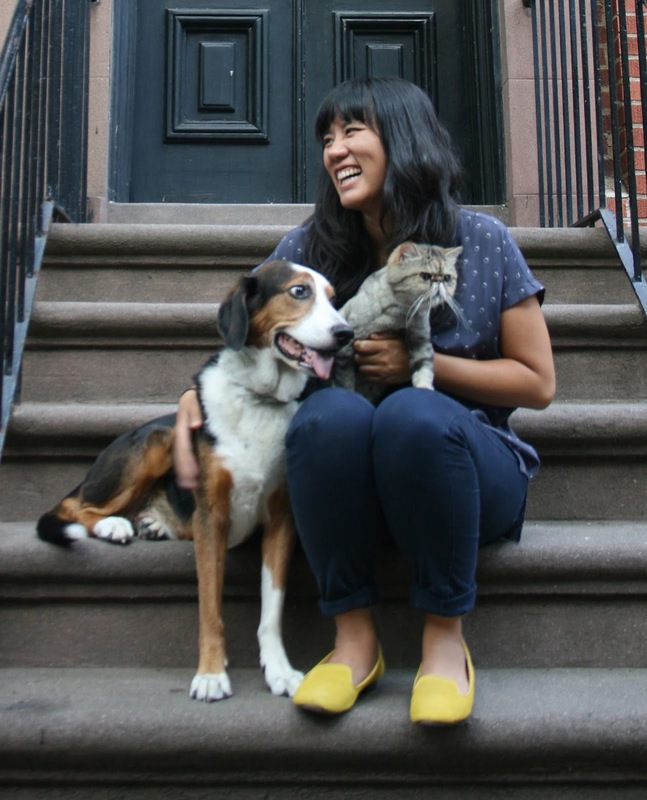 On August 18th Ruth Chan will be doing a reading of her new book, "The Best Bad Day" at Boston Chinatown Neighborhood Center. We had the opportunity to ask Ruth some questions in an interview about her background and her illustrating career. BCB: How did you get into writing and illustrating? Ruth Chan: I have always love writing and drawing, but don't have any formal training in either. Art class was always my favorite, but I remember thinking in High School, "I'm OK at it, but I'm not good enough to call myself an artist." At Wellesley College, I studied child development and photography, but still didn't think I could do anything with art as a real career. I did love writing papers, though. I then went to the Harvard Graduate School of Education, where I got a Masters in Arts in Education, which was less about hands-on art creation and more about how to bring the arts into every day lives of every day people. Clearly, I loved the arts, but I didn't quite have the guts to become "a real artist" in any way. I then spent a decade working with youth in undeserved communities, in schools, day care centers, and nonprofit community organizations, so not writing and illustrating! Around 2012, a few very difficult things happened in my life that forced me to reassess what I was doing and what I wanted to be doing. I found myself wanting only to draw and paint, and reading children's picture books I'd collected over the years in youth development work. There was something about how a picture book encapsulates good storytelling, beautiful writing, stunning artwork, wit, humor, emotional truths and values all in one object you can hold in your hand that was incredible to me. I gave myself one year to try this all out, to see if I could make writing and illustrating, particularly picture books, a real thing. And would you know it, it worked out! BCB: Tell me about your childhood and do you draw on it in your work? 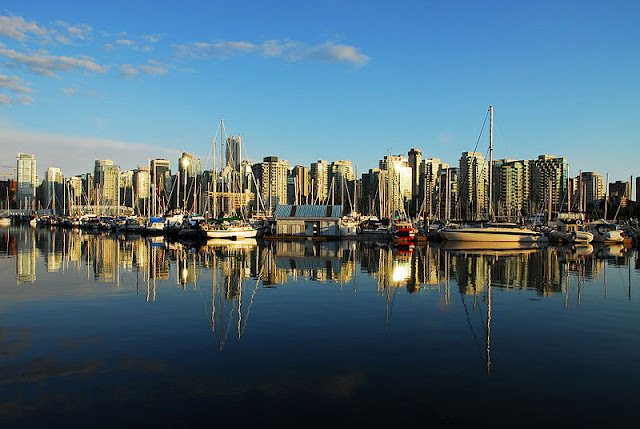 (No pun intended)Ruth Chan: I was born and raised in Ottawa, Canada, and then moved around quite a bit in the following year, including Hong Kong during my middle/high school years, and to Beijing for my last two years of high school. It was a unique way of learning more about my Chinese background. Growing up in Canada, my parents always spoke Cantonese at home (and still do), my brother and I went to Chinese school, and to we went to a Chinese church. But it wasn't really until I moved to Hong Kong and China that I realized how much more of my heritage there was to learn and experience. In terms of my work, I think it tends to reflect a little more of the emotional experiences I had in childhood rather than physical representations. Moving around every few years, I found myself constantly wanting to belong, to have a group of friends I could feel safe with and known. 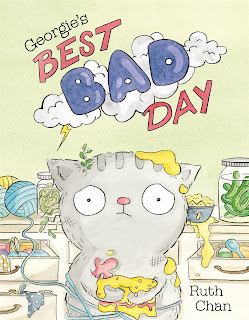 The book series "Georgie and Friends" is all about that. Georgie has his close group of friends who share all sorts of adventures together. They are all a little quirky, different from each other, but they all very clearly know each other well and care deeply about each other. BCB: Wow! So.... I noticed you are doing an event in Boston's Chinatown. Can you tell me about that? I mean will it be your first time in our Chinatown? Ruth Chan: This will be my second event at Boston Chinatown Neighborhood Center, but not my second time there. Last year, I had a reading of my first picture book, "Where's the Party?" for families in Chinatown and from all over the metro Boston area. But 12 years before that, I actually worked at BCNC at the Acorn Center for Early Education and Care as a teacher. It was my first job out of grad school and I absolutely loved it. I loved how close-knit the community was and how invested we all were in supporting the growth of these children together, not to mention the fact that 3-year olds were helping me brush up on my Chinese! 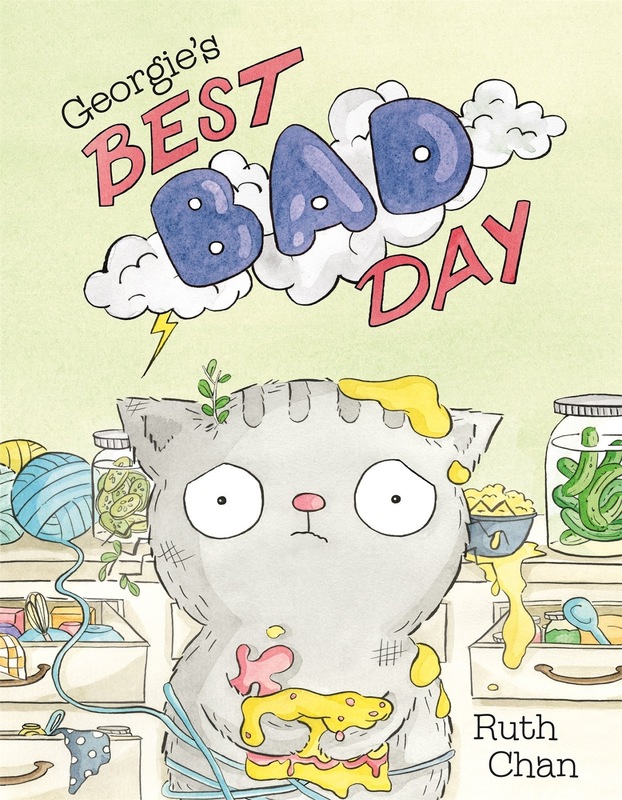 This August, I'm returning to BCNC to read and talk about my new book, Georgie's Best Bad Day, which is a follow up to Where's the Party?. I'm excited to see some familiar faces (including those of BCNC staff who are still there!) and to do some fun illustrations with everyone. When I worked at BCNC, I'd run into family members and organization staff left and right on my way to and from work, on my breaks, and even on days I was in Chinatown for non-work reasons. It was those interactions that made me feel like I was a part of this community. Even though I didn't live there, the community in Chinatown never let me feel like an "other", but rather that I belonged, that same belonging I sought out so much when I was a kid. In my books, the characters live in the same neighborhood, and have created a similar sense of community. 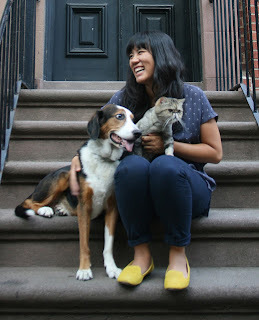 Just like I experienced in Boston's Chinatown and in other communities since, the characters in my books are invested in each others' well-being, are eager to experience things together, and celebrate the similarities and differences among them. Now, more than ever, communities like these are all the more valuable-- communities where people remind each other that they are cared for, that they are known and safe. They will defend and fight for the rights of each other, and offer support to those who need it, whether that's just a "Hi, how are you doing?" or providing a much needed resource. BCB: Who are your favorite writers? Who influenced you the most?Ruth Chan: I have so many favorite authors and so many favorite illustrators! I read a lot of children's literature-- picture books, middle grade novels, young adult novels, and some of the classics are still my favorite. Arnold Lobel, who wrote the Frog and Toad series, has such a wonderful way of simplifying language down to a few sentences while still showing us so much about who these characters are. A.A. Milne, who wrote the Winnie the Pooh series, is also an incredible author who, through dialogue, instilled so much heart and soul into these sweet but sometimes awkward friendships between a rag tag group of characters. Growing up, I also loved to look at Richard Scarry books. There was always so much going on, along with subtle moments of humor and silliness. Every little secret detail you found made reading one of his books an intimate, personal experience, and made you feel like that book was all that much more yours. Nowadays, I think my author and illustrator friends influence and inspire me the most. I learned very quickly that there's no such thing as making a book all by yourself. You need peers to read through your 20+ drafts of a manuscript, and agent, editors, and art directors to help you bring a book to life. My illustrator friends are all intelligent, funny, creative, and value the same things I do. They each have their own unique style, and it makes for some great brainstorming. Once again, it's all about having a community that you're part of. And come to the event on August 18 at 5:30pm at Boston Chinatown Neighborhood Center 38 Ashstreet in... Chinatown of course!